I’ve been reading Thucydides’ The History of the Peloponnesian War (431 B.C.E.) and researching the U.S./China debate topic. Thucydides mentions trade issues between Greek city-states, along with escalating passions following political and military disputes. The defining question about global order in the decades ahead will be: can China and the US escape Thucydides’s trap? The historian’s metaphor reminds us of the dangers two parties face when a rising power rivals a ruling power – as Athens did in 5th century BC and Germany did at the end of the 19th century. Most such challenges have ended in war. Peaceful cases required huge adjustments in the attitudes and actions of the governments and the societies of both countries involved. Classical Athens was the centre of civilisation. Philosophy, history, drama, architecture, democracy – all beyond anything previously imagined. This dramatic rise shocked Sparta, the established land power on the Peloponnese. Fear compelled its leaders to respond. Threat and counter-threat produced competition, then confrontation and finally conflict. At the end of 30 years of war, both states had been destroyed. Both Mr. Hu and President Obama seemed desperate to avoid what Graham Allison of Harvard University has labeled “the Thucydides Trap” – that deadly combination of calculation and emotion that, over the years, can turn healthy rivalry into antagonism or worse. Meanwhile, Thucydides might be appalled at the nationalistic talk that resounds in both countries. In Chinese newspapers these days, it’s hard to avoid accounts of “American decline.” Meanwhile, some new members of Congress talk lightly of cutting off Chinese access to the American market — as if that could happen in today’s global economy. In both languages, that’s fear talking. Automation is the major reason the number of U.S. manufacturing jobs dropped over this period. And far from challenging the U.S., manufacturers and workers in China have been integrated into complex and cost-effective supply-chain networks, benefiting U.S., other Asian, and European manufacturers as well as consumers. 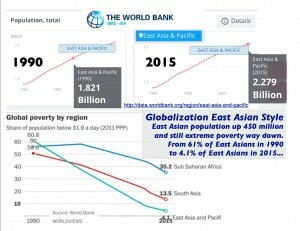 Still, not everyone benefits from rising global trade and investment. 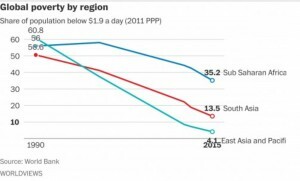 Some labor unions and domestic firms and industries have declined, and blame China. With the slow recovery since the 2008-2009 “great recession” some manufacturers and trade associations have pushed their governments for domestic subsidies and restrictions on imports. Economist Peter Navarro (an advisor to Donald Trump), advocates increased trade barriers with China. See “Trump Economic Advisers Denounce Trade Deals in Theory, Practice,” (Bloomberg, August 3, 2016). Henry Hazlitt’s Economics in One Lesson, long popular in high school debate classes, is online here from the Foundation for Economic Education. He went on to say that nine-tenths of the economic fallacies that work harm in the world today are the result of ignoring this lesson. 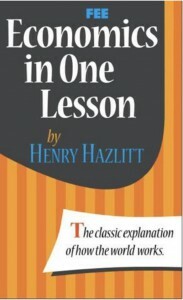 While Hazlitt’s Lesson is not exactly a separate economic principle, it is a form of mental discipline that must be exercised when constructing or analyzing policy…. protective tariffs and quotas harm American consumers and workers… In each case the counter-intuitive result is found by consistent application of Hazlitt’s Lesson: look not just to the immediate effects on one group, but the long run effects on all groups. China’s authorities can promote the health of its own economy by abandoning an exchange-rate obsession over the value of the renminbi against the dollar and intervening less, not more. It turns out the primary villain in the tale is China’s dependence on export-led development that is the basis for continuing controls over exchange rates and capital flows. It turns out that China’s self-proclaimed “market socialism” is in fact a poisonous cocktail of neo-mercantilism (that is, export-led growth) and Keynesian stimulus policies. Alas, the resulting hangover is set to bring a painful end to the “Beijing consensus” as well as President Xi Jinping’s (習近平) “Chinese Dream”. For a background on International Finance, floating exchange rates, and China’s currency manipulation, both Khan Academy an d Marginal Revolution University offer a series of video lectures. 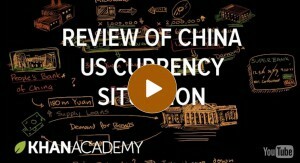 Khan Academy’s Review of China US Currency Situation is here. 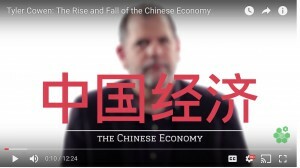 Marginal Revolution University’s Chinese Currency Manipulation video is here. A turning point for the Chinese economy came in 2009. With the recession affecting many other countries, China’s government took steps to avoid the recession and keep the economy afloat, but at a cost. Debt skyrocketed during the period, which is proving less sustainable as China’s rate of growth declines. The people and organizations who do care enough to be active are those who benefit from current trade regulations, or expect to benefit from new regulations. So U.S. Furniture manufacturers lobby for and file “dumping” charges with the Commerce Department against Chinese furniture companies. U.S. shrimpers lobby to restrictions on frozen shrimp imported from China (and Chinese shrimp industry fights back). U.S. Steel companies care, and lobby to restrict steel imports from China (though higher steel prices raise costs for most U.S. manufacturers, whose products become competitive on world markets). 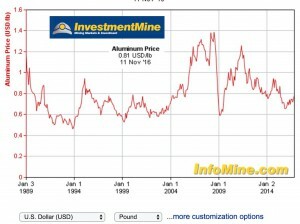 Jeff Henderson, president of the Aluminum Extruders Council cared enough to charter a plane to investigate transshipped aluminum stockpiles in Mexico (see September 9, 2016 front page WSJ story). Union leadership lobbies for trade barriers they believe will protect union jobs here. Environmental groups concerned about CO2 emissions from China’s heavy use of coal in manufacturing look for ways to add a carbon-tax to imports from China. Each trade barrier increases the prices U.S. consumers pay for imported goods. These price increases are rarely enough for most consumers to notice, much less spur them to protest. But the gains from protectionism to U.S. producers can be substantial, and through trade associations they invest millions of dollars to advocate new and protect existing trade restrictions. NSDA (and NCFCA) debaters will stand almost alone as motivated enough to research, sort through, and speak out on the various claims, regulations, trade agreements, and protectionist arguments. 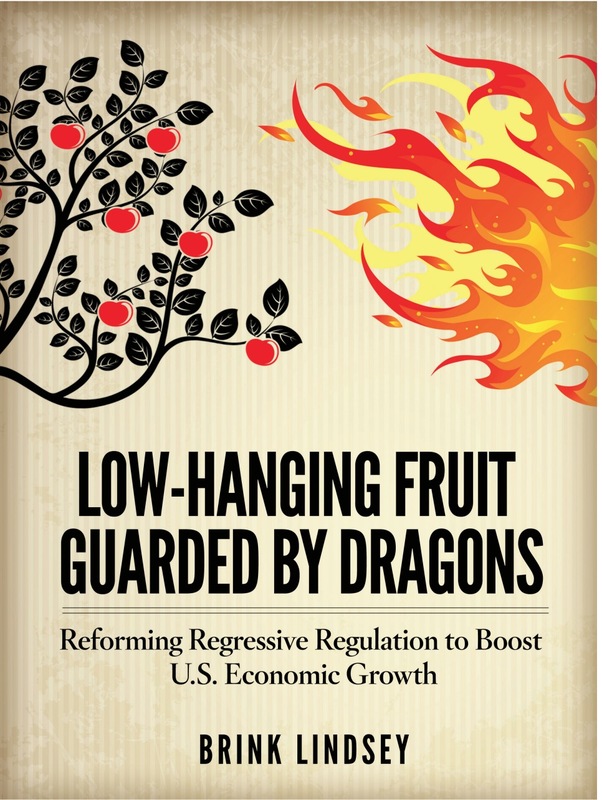 Brink Lindsey’s Low-Hanging Fruit Guarded by Dragons: Reforming Regressive Regulation to Boost U.S. Economic Growth makes the case for first repealing “regressive regulations” in the U.S. 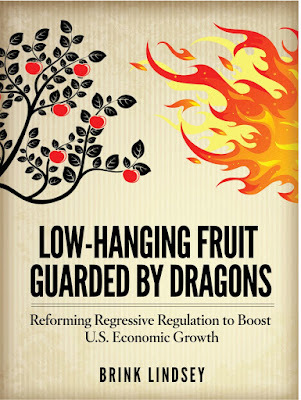 However, Lindsey’ Low-Hanging Fruit study focuses on domestic regulations rather than U.S./China engagement. This October 2013 article in The Diplomat, American Protectionism Threatens US-China Trade looks at current “bilateral” U.S./China protectionist policies. The United States and China have one of the largest trading relationships in the world, at over $550 billion per year. U.S. policymakers are right to cry foul when the Chinese government distorts that trade to protect domestic interests. Unfortunately, U.S. policymakers do the same thing and, in the process, harm the U.S.-China relationship. One example is Washington’s continued use of so-called “non-market economy methodology” when deciding whether Chinese goods are being “dumped” into the U.S. market at unfairly low prices. The designation is a holdover from the Cold War that exists today only because its mystical formula enables U.S. officials to impose higher punitive tariffs to protect inefficient domestic industries. The practice is actually illegal under World Trade Organization rules. But when China joined the organization in 2001, the United States insisted that an exception be created, allowing it to continue discriminating against Chinese imports for 15 years. Time has passed, and unless the United States government changes its practice by the end of 2016, it will be in flagrant violation of U.S. trade obligations. Unfortunately, the United States is almost certainly not going to comply. There is a shameful history of law-breaking by U.S. trade officials abusing the non-market economy methodology. Both U.S. law and international trade rules have been consistently stretched or outright ignored for decades, and there is little indication that this trend will change. Commerce, enterprise and voluntary exchange help make the world a more peaceful and prosperous place. 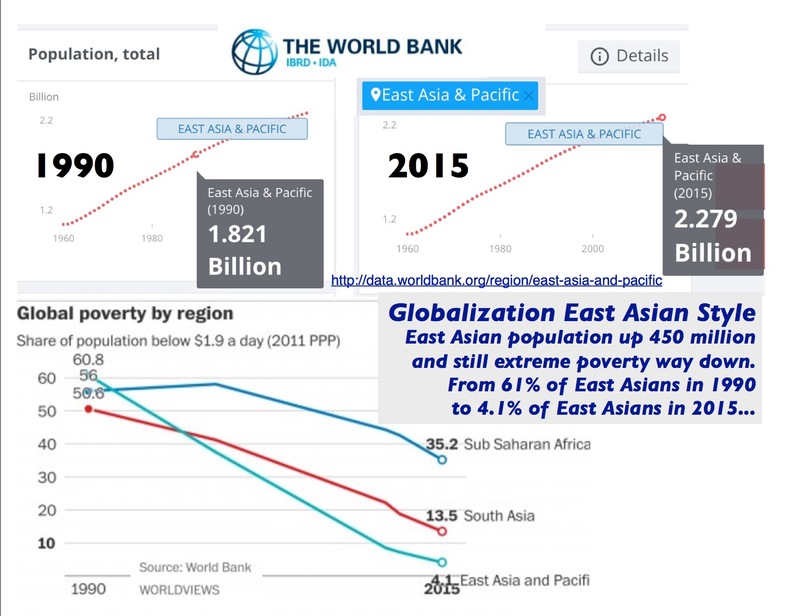 Trade and trade policy are at the center of economic theory and political economy. As consumers we benefit from exchange, from trade. As producers we benefit when people in other places purchase the goods and services we produce. But local producers don’t benefit at first from foreign producers offering competitive goods and services here. On Amazon.com debaters can “Look Inside” Douglas Irwin’s 2015 book Free Trade Under Fire. America’s founders tried to limit Congressional and Executive power to intervene in the economy. Modest tariffs on imported goods were for decades the federal government’s major source of revenue, along with land sales. America’s founders believed economic interventions would excite factions, that is, special interest groups who gain from economic legislation. Trade policy through American history has been just that. Domestic producers, from farmers to manufacturers, lobby each generation for new or continued restrictions on imported agricultural and manufactured goods. An earlier Debate Central post, China Trade: Hollowing Out or Filling In the U.S. Economy? discussed this ongoing free trade /managed trade/protectionism debate over U.S. China policy, linking to various recent studies and articles.